We’re using leading unique identity technologies to improve resistance to fraud and abuse, and protect citizens and customers. The growing global population, increasing frequency of cross-border travel and an ever-greater focus on security make it more necessary than ever for businesses and governments to be able to reliably determine the identity of the individuals with whom they interact. At the same time, individuals’ service-level expectations are ever higher—and organizations have a closer eye than ever on the cost of doing business. Biometric and biographic matching technologies have evolved rapidly, and these cutting-edge technologies are now being adopted at scale by governments, businesses and non-commercial organizations to help meet operational needs. "We’ve developed Unique Identity Services capabilities over the past 10 years to deliver identity management solutions to clients around the globe." 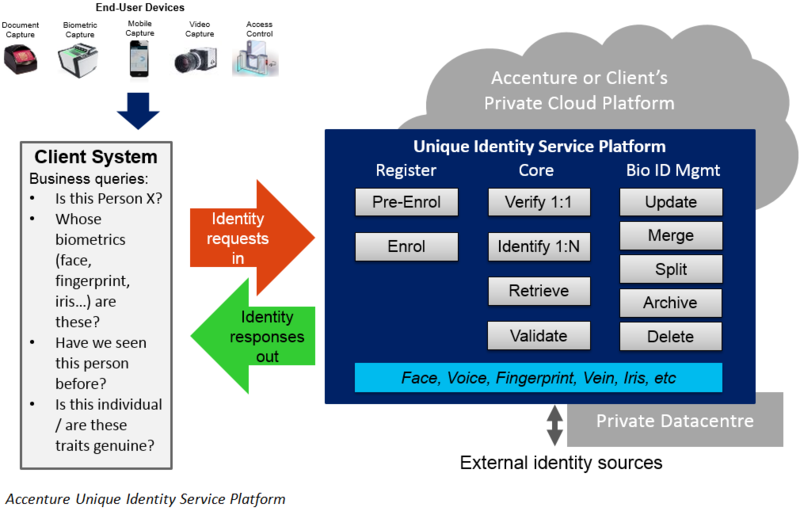 Our Unique Identity Services capabilities range from biometric R&D to delivery-at-scale, via algorithm benchmarking, device evaluation, prototyping, development of proofs of concept, live piloting, biometric governance & quality assurance, diagnostics & capability assessments and biometric strategy definitions. We manage the process through to solution delivery via our Unique Identity Service Platform asset. While vendor-independent, we maintain a network of more than 50 specialist vendor relationships to ensure we can respond to our client’s specific Identity requirements with the best technologies. Our network of Unique Identity and biometric specialists spans the globe, with established Unique Identity nodes in Washington D.C., Bengaluru, Mumbai, Bratislava, London and Sophia Antipolis. We have a sizeable Community of Practice bringing together all of our Unique Identity practitioners (many of them IEEE Certified Biometrics Professionals). The Unique Identity Service Platform (UISP) is our latest evolution of our large-scale identity matching assets. UISP offers a performant, accurate, scalable and secure identity management framework that is readily customized to meet specific client requirements. Available in either traditional “deployed-to-site” or cloud-based “as-a-Service” models, UISP offers flexible multi-modal biometric, biographic and contextual matching capabilities designed to optimize business value. UISP is based around the concept of Emergent Identity—the idea that every time an individual interacts with our system (an "identity event"), we learn something about them—perhaps a new biometric sample, or a new piece of biographic or contextual data. According to the client’s business priorities, and with careful consideration of data privacy regulations and best practices, Emergent Identity can provide rich analytical insights into customer identities to facilitate improved experiences, prevent fraud, and streamline interactions.